Indonesia‘s Taka Bonerate National Park is known as the third largest coral atoll in the world after the Kwajifein in Marshall Islands and Suvadiva in Moldiva Islands. 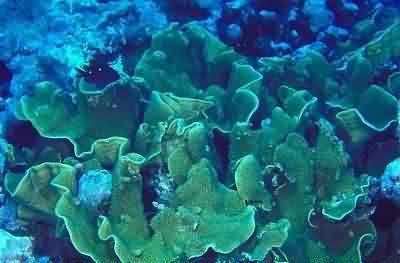 It’s approximately 220,000 hectares, with flat spreaded coral reef of 500 km wide. The topography is very unique, the atoll consists of wide reef islands and extensive corals, forming many islands with a considerable amount. Among the reef islands, there are deep-narrow-steep straits. 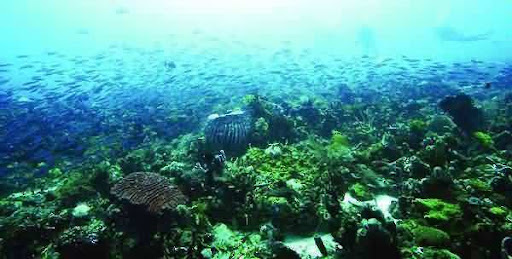 While on the surface of the reef, there are many deep-small ponds surrounded by coral reefs. When the tide is low, we can clearly see visible and dry land with puddles that formed small pools. The plants in coastal areas dominated by the coconut (Cocos nucifera), sea pandanus (Pandanus sp. ), Sea pine (Casuarina equisetifolia), and almond (Terminalia catappa). There are 261 species of coral reefs that’s already identified from 17 families including Pocillopora eydouxi, Montipora danae, Acropora palifera, Porites cylindrica, Pavona clavus, Fungia concinna, and others. 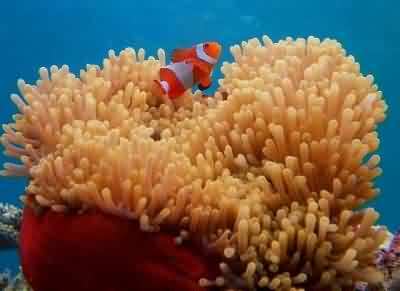 Most of these types have formed barrier reef and the fringing reef. Most of those coral are relatively intact. There are approximately 295 species of reef fish and various species of consumption fish with high economic value such as grouper (Epinephelus spp. ), Skipjack (Katsuwonus spp. ), Napoleon wrasse (Cheilinus undulatus), and baronang (Siganus sp.). A total of 244 types of mollusks such as trochus (Trochus niloticus), a goat’s head shell (Cassis cornuta), triton (Charonia tritonis), batulaga (Turbo spp.) Scales clams (Tridacna squamosa), pearl oysters (Pinctada spp. ), And hollow nautilus (Nautilus pompillius). The types listed turtles including the hawksbill turtle (Eretmochelys imbricata), green turtle (Chelonia mydas) and hawksbill lekang (Dermochelys coriacea). 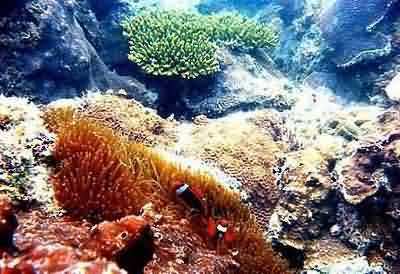 Snorkeling,diving, and other marine tourism activities can be done in 15 islands in the National Park. The best visiting season each year is April to June and October to December. How to reach the location: using public bus from Makassar to Bulukumba (153 km) for approximately five hours, then to the Pamamata ferry port, Selayar for about two hours, which then continued to Benteng for 1.5 hours. From Benteng to the nearby island, Rajuni Kecil can be done with wooden boat for about five hours. It’s a very long, tiring journey, but in the end, it’s all worth it.